Pushpaa Hospital is a multi-specialty hospital with latest technological advances and ethical practices. In 1986, on 26th January Dr. Raju Sahetya took the task to establish this Ultra Modern medical center for-advanced health Care. Pushpaa Hospital started as a specialized hospital for Mother and Childcare center and since 2007, after complete renovation, is now a state of art, a multi specialty hospital. Pushpaa Hospital for the 22 years aims to provide quality health care at reasonable cost. Provides attractive package deals for various treatment, procedures and surgeries. Pushpaa Hospital is situated at the Lokhandwala complex, Andheri (west) in Mumbai; the hospital is situated very close to the Juhu Beach, Andheri railway station, Domestic and International Airport. 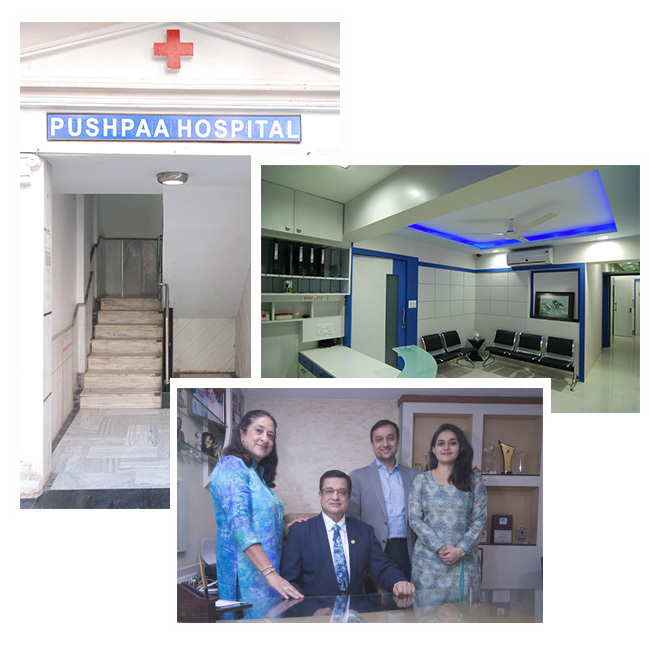 Padmashree Dr. Rustom Phiroz Soonawala inaugurated Pushpaa hospital. Pushpaa Hospital attracts patients not only from Mumbai but all parts of Maharashtra, rest of India and other countries. Dr. Ankesh Sahetya has passed MBBS from Padmashree Dr. D Y Patil medical college, Navi Mumbai. 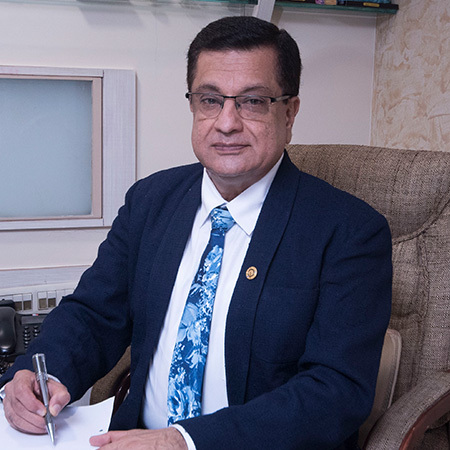 He has completed DGO with distinction from the prestigious Nowrosjee Wadia Maternity Hospital and R. N Cooper Hospital, Mumbai after which he pursued his DNB (Diplomate of National board of examinations, New Delhi) from Lilavati Hospital and Research Centre, Bandra, Mumbai. He is a (MNAMS) member of the National Academy of Medical Sciences. Has worked as a Senior Registrar and teacher to post graduate students at Topiwala Medical College and B.Y.L Nair hospital, Mumbai Central. He has also worked as a Specialty Consultant at Bandra Bhabha hospital for 2 years. He has vast experience in handling various Obstetric emergencies at these hospitals. He has also received certification as a trainer for Laparoscopic Tubal Sterilization by the Municipal Corporation of Mumbai. He has been trained in Laparoscopy at CeMast (Centre of excellence of minimal access surgical training ) and has been a part of over 200 Gynaec Endoscopy cases at various government and private hospitals. He has practical experience in Ultrasonography and has received certification for the same. He is an Asst. Honorary at Oshiwara Maternity Home. He is a consultant at Pushpaa Hospital. 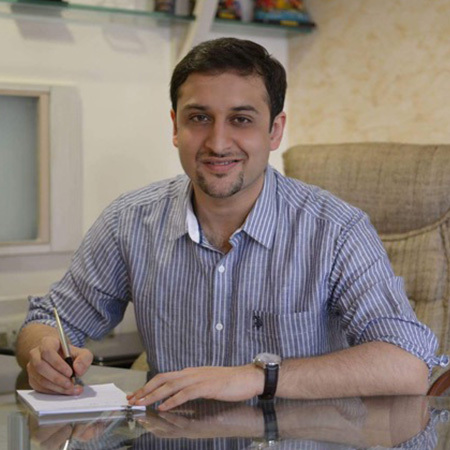 He has won several awards and prizes for his work at FOGSI and International conferences. 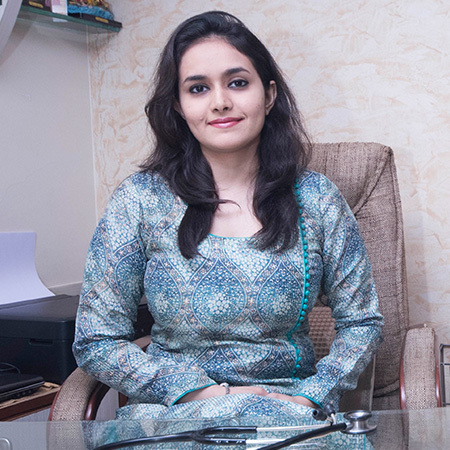 Dr. Divya Sahetya has passed MBBS from Lokmanya Tilak Municipal Medical College and Sion hospital, Mumbai. She has completed MS from Bombay Hospital Institute of Medical Sciences, Mumbai. She has also done an ICOG Fellowship in Reproductive Medicine from Patankar Hospital and Genesis Fertility Solutions, Pune. She has also worked at various Municipal hospitals in Mumbai to gain clinical experience. She has also worked under the legendary vaginal surgeon Dr Shirish Sheth as a Clinical Assistant. Her special interest as well as training lies in the field of Reproductive Medicine(Fertility), Endocrinology and Operative Gynaecology.